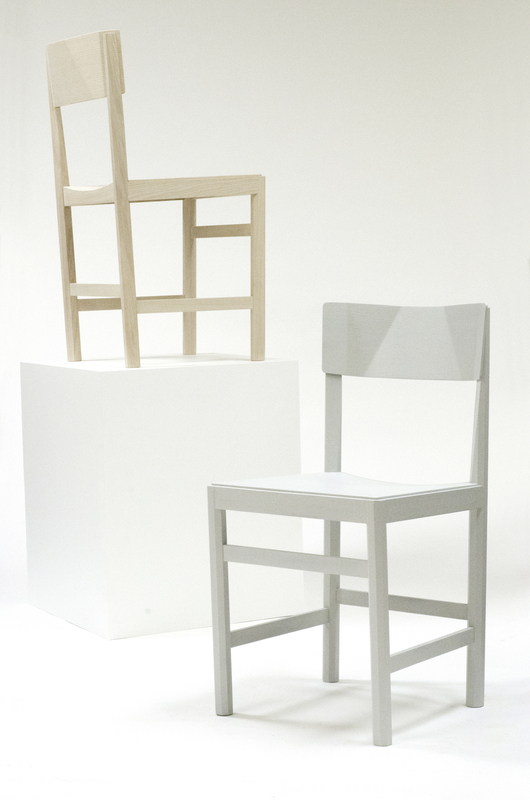 Inspired by the ”8 slå”-chair from Scadinavian folk lore, Part Goat aims to be a petite and light weight dining chair. The body of the chair has a strong and compact expression taken from the way mountain goats stand with a small footprint on top of a rock. The facets in the backrest communicate with the octagon cross section in the legs. Though edgy in its expression the backrest provides a comfortable support.